One of my favourite things about ConvertKit is that there’s always multiple ways to achieve the same thing. Nowhere is that more true than when it comes to organising your subscribers. Now, I have read the ConvertKit Guide on ‘How to Segement Your Subscribers‘, and for the most part I disagree! Especially for the average ConvertKit user. Let’s say you’ve set up a beautiful new welcome/nurture sequence that’s 5 emails across 10 days. All new subscribers go through this sequence. You send a weekly newsletter on Thursdays. Bob signs up for your epic freebie opt-in. Bob starts to receive your welcome sequence. You don’t want Bob to get your weekly newsletter until after he’s completed the welcome sequence. It’s disjointed for him to get a carefully planned intro email on one day, and then a generic update on your business the next day, and then back to the carefully planned intro emails the day after that! People ask how to set up this process (only receiving newsletter type emails after they’ve finished the welcome sequence) all the time. You guessed it, the solution involves using a newsletter tag. And even better, if you create a new freebie opt-in, with a 3 email sequence over 5 days, and Bob signs up for that too. He’s already got the Newsletter tag. He’s now going to receive the new 3 email sequence and your Broadcasts. Pro tip: If you send your newsletter type broadcast emails on the same day each week (e.g. Thursday, as above), set all the sequences so they don’t send sequence emails that day. It’ll mean that poor Bob never gets 2 emails on the same day from you – yay! Right, the next killer reason to have a newsletter tag. Wendy has been on your list for years. Wendy buys Course X from you. Wendy is kinda busy and as much as she loves you, she’d really rather stop receiving your weekly newsletters, but she’s worried she’ll stop hearing about updates to Course X. By default in ConvertKit, when someone clicks Unsubscribe at the bottom of an email, they’re removed from your entire ConvertKit account. Wendy clicks to Unsubscribe from your weekly newsletter, and it’s bye bye Wendy. Update: More recently I’ve also started to tag them ‘Unsubscribed: Newsletter’ when I remove the Newsletter tag because it’s easier to keep track of this group of people that way. Otherwise you can’t be sure if they ever had the Newsletter tag or not. With the above two examples when you want to send a Newsletter, you send a Broadcast to people with the ‘Newsletter’ tag. 2nd Update: I’ve more recently developed my thinking around the Newsletter tag. I also recommend you read this blog post here about ‘In Sequence’ Segments. Okay, firstly, many integrations actually add subscribers to tags, not forms. And in the case of WebinarNinja, to sequences (but the less said about that, the better!). SamCart and DPD are two examples of adding to a form. Secondly, integrations that are ‘within’ ConvertKit and you can select as automation rules (e.g. Gumroad and Shopify), you probably aren’t going to set up an automation that adds them to a form. Lastly, if someone has bought something from you (and especially if you want to know what at the product level), and they weren’t previously on your list, I highly doubt you’re going to want to bring people in through forms. It’s just irrelevant and creates an unnecessary step. Not everyone comes in through a form, sometimes they’ll be going straight to tags and that’s a good thing! One thing to note though is that if someone isn’t coming in through a form, they won’t appear on the pretty graph of new subscribers on the Dashboard. But usually people don’t really want that skewing their list building efforts. This is partially true, but also kinda not really. You know how you can quickly and easily click a tag, see the list of subscribers, and then select some/all, and tag them something else or add them to a sequence with bulk actions? You totally can’t do that with forms. To see how many people signed up to a form, you have to look in the form details on the dashboard. And then to find out WHO signed up to that form you have to click into the form, then go to reports, and then click the number of subscribers. And then it’s just a list (and you can click into the subscriber profiles), but no bulk actions option. Plus, in my experience having helped loads of people migrate to ConvertKit, there’s a strong preference to see all the tags, in a list, with the number of subscribers beside it, on the subscriber page. It’s harder having information in multiple places (tags, forms, maybe even sequences). Update: This is for the old form builder (pre-July 2018). This functionality has actually now been removed in the new form builder, so what I say below is still true! Okay, so this isn’t really about tags, but I want to address it. I understand wanting to keep your automation rules tidy, but if you’re adding people to sequences from within the form settings, the only place that you know which form connects to which sequence is within the form settings. As soon as you’ve got a slightly more complex setup going on, it becomes a complete pain to go into each form and check/change that. I would much rather have all my automation activity in one list on the Automations page. Then if I need to change something, or figure out why something is happening, I can see an overview of everything right there on the page. I don’t have to go into each and every form. Plus there’s the added benefit of being able to nip in to any automation and see the history of that automation. You can easily add/remove tags manually from a subscriber in their subscriber profile page. You can’t manually add them to a segment, and you shouldn’t really manually add them to a form. I like to be able to see, in a list, all the different tags a subscriber has, and I can easily do that on their subscriber profile page. As I organise my tags with a category suffix (e.g. “Webinar: X” or “Course: Y”) I can easily see what type of engagement a subscriber has had with my business. Having to also look at the forms they’ve signed up to and the segments they’re in is a faff in my eyes. I like being able to see how many subscribers I have on each tag, on the Subscriber page. If I’ve got some of that info on the Forms page, and some of it in tags on the Subscriber page – meh, I want it in one place. When the time comes that ConvertKit makes it easier for clients to self select/update which tags they’ve got, my love of the tag is going to have me totally ready for the functionality! Don’t get me wrong, I do like and use segments, I just don’t use them quite as much as ConvertKit rave about them. If you find yourself sending a Broadcast and having to select several tags and/forms, and then maybe a “but none of the following tags” thingy frequently, then make a segment of those conditions, and just select that. If you’re doing a launch, or trying to warm up your list, or something else where you want to be able to see your progress based on a collection of tags/forms, then create a segment. e.g. everyone on your list, but not people who clicked in an email (you’d need to set up link trigger automation for this). 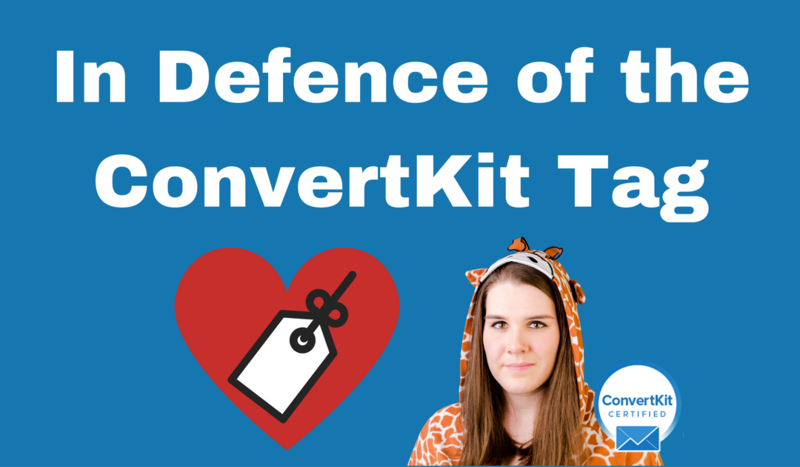 I’d love for you to share in the comments how you use (or don’t use) ConvertKit tags and segments! 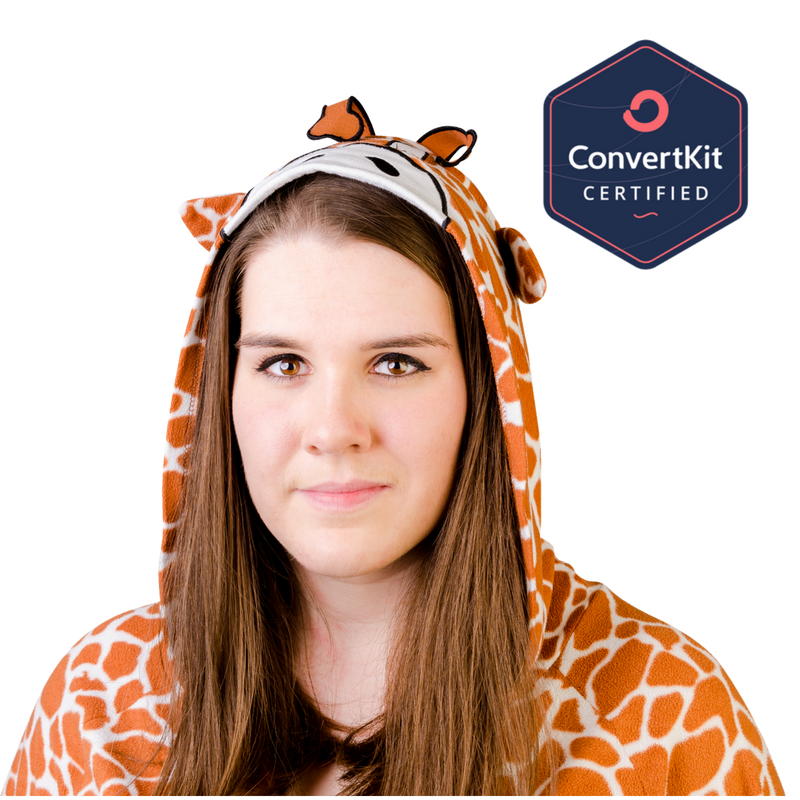 If you’d like to learn more about my… er… philosophy on organising your subscribers in ConvertKit, check out ConvertKit Club! There’s a full training in there dedicated to it. Love this – like you said, you can do things in many ways. For example, I’d never thought to add people straight to sequences, I always put them through forms. My automations are set up to go form -> add to sequence + add tag, for the same reason you mentioned, I can easily see where people are at, based on their tags. My main reason to switch to CK was tags and automations. For example, yesterday I sent an email, with a link trigger. If people clicked, they got tagged. If they went through and booked a session with me, they got tagged as ‘booked’ (thanks zapier). Then I set up a sequence to ONLY speak to the people who didn’t book. LOVE IT! I have found, with 100 content upgrades, that the automations and forms can be a little overwhelming and would LOVE to be able to sort them into files/categories. I’d love sorting/folders for automations. My list is getting very long. I never understood the need to bring everyone in thru a form. Thanks for straightening this out for me! One of my fav tags is my Limbo tag. I had a couple subscribers slip through the cracks and not getting any communications from me, so now I have a tag so I see them show up (mainly a migration issue). Haha – love this! Thanks for sharing!